En conclusión, si el uso que vas a dar al tablet es principalmente la lectura de libros, navegación web y uso de aplicaciones populares, el Kindle Fire HDX 8,9″ es una elección muy adecuada. Sin embargo, si quieres personalizar el escritorio del tablet al máximo y utilizar aplicaciones menos extendidas, harías mejor evaluando otras opciones como el Nexus 7 (2013). Amazon's autumn/winter 2014 tablet and eBook reader refresh is headed by the Fire HDX 8.9, an 8.9-inch powerhouse of a slate that sits at the top of the retailer's line-up. Unlike the 6 and 7-inch Fire HD tablets that are more aimed at the family unit and those looking for a quick, simple device, the HDX 8.9 is Amazon's answer to the Apple iPad Air, albeit a tad cheaper. The larger HDX tablet boasts some impressive specs and Amazon fans will feel right at home, although others may miss the wider range of apps found elsewhere. 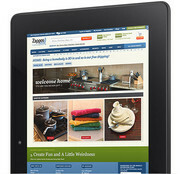 Business users will enjoy its e-reader capabilities. The HDX 8.9 is certainly a safe option. Bigger than an iPad Mini Retina, cheaper than an iPad Air or Galaxy Note 10.1, it's an outstanding middle-of-the-road option, and that's not as much of a contradiction as it would seem. Tidier and simpler than the regular Android option, the HDX 8.9 will please those looking for a no-fuss tablet solution, but if you stretch the budget just a little bit further you could have the best from Apple or Samsung. For this reason the far cheaper HDX 7 makes a lot more sense to us. 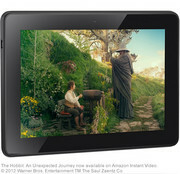 The Kindle Fire HDX 8.9 undoubtedly is Amazon's best tablet to date. However, with its Fire OS offering an unfamiliar user interface and lacking in its app selection, we're not sure it's quite ready to compete against the iPad Air and Google Nexus 10. The tablet has a market leading screen and a wonderfully thin and light design, but we found ourselves reverting back to our iPad due to the poor selection of apps in the Kindle App Store. Amazon certainly improved its Kindle Fire tablets with the release of the Kindle Fire HDX, and in the case of the 8.9-inch version, it’s now able to offer an experience that can easily rival its competitors and even larger tablets. With that said, we feel the Kindle Fire HDX 8.9 would be best in the hands of someone who doesn’t know their way around Android tablets, but wants the best of what’s currently available. 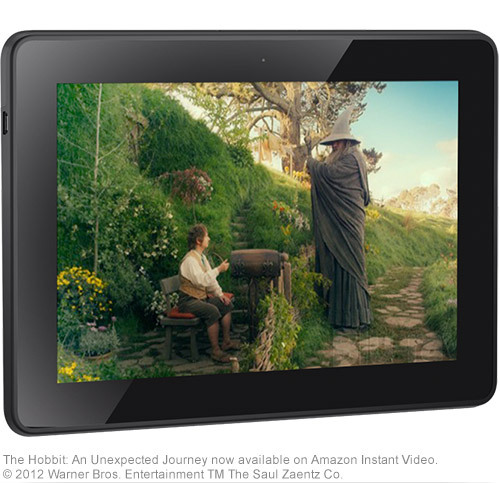 The Fire OS keeps things extremely simple as you can access much of Amazon’s digital goods straight from the home screen, while also being able to purchase books, magazines and other digital goods with ease. For all that, the Kindle Fire HDX 8.9in is a device that anyone in the market for a larger tablet should consider. The display is fantastic, it's amazingly light, the performance and battery life are simply superb, and we certainly can't fault its all-round usability. If you don't mind the Amazon lock-in, it's a fabulous tablet – with much better hardware than on anything we've seen from an Android tablet so far, and a tempting price. But we'd advise waiting to see what the second-generation Nexus 10 brings before taking the plunge. If you want a solid and powerful multimedia tablet that is essentially a gateway to all things Amazon, this is your tablet. But if you're looking for something with more flexibility and better hardware, you're better off buying an iPad Air. The only thing you'll have to consider is whether you can justify the extra cost. 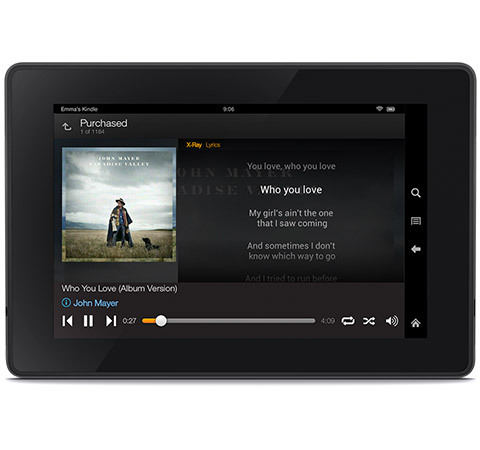 The Kindle Fire HDX 8.9 comes with a lot of very good hardware features, but at £329 it’s not particularly cheap. For £10 less you can get the iPad mini 2 Retina – granted that’s an inch of screen less, but it does come with the glorious app store in tow. Alternatively the Kindle Fire HDX 7 costs just £199 and is almost the same tablet, barring the significantly smaller display. The Fire HDX 8.9 is a great start for anyone just entering the world of tablets. If you (or whoever you're considering it for) have never had an iPad or Android tablet then you’ll get to grips with the Kindle very quickly -- perhaps more quickly than with the other two. Mayday is undoubtedly the star of the show, it’s like a little genie solving all your tablet frustrations with instant, accurate and friendly advice. 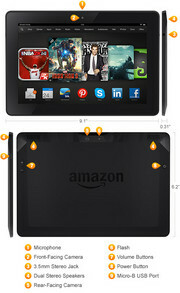 Amazon's 8.9-inch version of the Kindle Fire HDX takes all of the great features of the 7-inch version and adds a larger higher resolution display and a rear facing camera. The problem is that the price jump for these extra features generally outweigh their gains. The Fire line just keeps getting better. Just as the HD marked a big improvement over the first generation, the HDX brings a number of premium features that puts Amazon's offerings on par with some of the best tablets. The screen is great; processing power has been bumped up considerably; there's finally a rear-facing camera; and the hardware is markedly slimmer. Epic battery life combined with a stunning display, helpful parental controls and instant tech support make the Amazon Kindle Fire HDX 8.9-inch an excellent tablet for families or new tablet owners. Amazon Prime members will especially love being able to access tons of content for free. 80% Amazon Kindle Fire HDX 8.9"
The Kindle Fire is not a hard-core productivity tablet; it's designed mostly for consuming media from Amazon. While it's certainly possible to load it up with your own content and office apps, that isn't what its super-simple interface is made for. You might notice that in general, the HDX has better specs than the iPad Air at a lower price. It's just less ambitious from a software perspective, which makes it a better tablet for some people but makes the iPad a better tablet for more people. But if you’re a faithful Amazon customer looking for something more substantial than the 7-inch Fire, the lightweight 8.9-inch Kindle Fire HDX is the tablet to consider. The bigger screen is worth the extra money, and you don’t lose any performance, just some portability. And even though it’s more expensive than its smaller kin, it’s still a great value among full-size tablet options. With the Fire HDX, the Kindle acquires the first early pangs of an identity crisis. If it has the form of a full-size productivity device, shouldn’t it try to be one? Naw. It has its own identity and it has a valuable role to play. Apple described the case of the iPhone 5c as not just “plastic,” but “unapologetically plastic.” Amazon should do the same with the Kindle. It’s unapologetically content-driven. They’ve improved the screen and the sound and the OS features to make this the most pleasant device for enjoying other people’s creativity. It’s definitely not the best full-size tablet for sweating through a full day of work. But it might be the best tablet for recovering from one. If you’re already an Amazon customer, or are willing to make it your ecosystem of choice, the Kindle Fire HDX 8.9 is our choice of the company’s tablets. Priced from $379 for the WiFi-only model (add $100 if you want LTE support) it’s competitively priced, and it could handle anything we threw at it; Amazon’s roadmap of feature updates like second-screen support will only make it better, particularly if you’re a Prime customer. It's way to early to call on how good are the new Kindle Fire tablets. 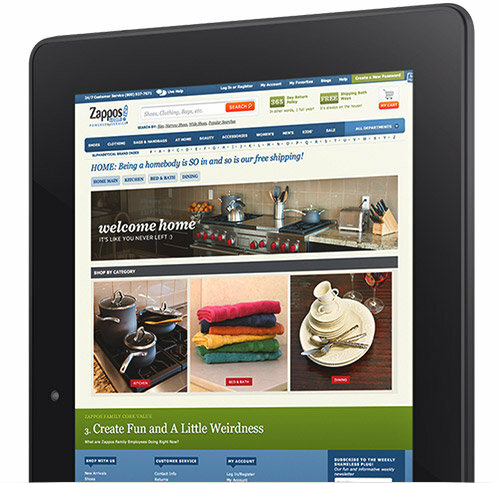 Suffice to say that they improve on the Kindle Fire HD, which we liked as a consumption device. 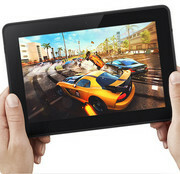 If the UK pricing is what it should be, we're excited about spending more time with the Kindle Fire HDX tablets. 96% Amazon Kindle Fire HDX 8.9"
81% Amazon Kindle Fire HDX 8.9"
100% Amazon Kindle Fire HDX 8.9"
8.9": Esta diagonal de pantalla es bastante pequeña para tablets. Grandes tamaños de pantalla permiten resoluciones más altas. Por tanto, los detalles como letras son más grandes. Por otro lado, el consumo de energía es más bajo con diagonales de pantalla más pequeñas y los aparatos son más pequeños, más livianos y más económicos. 83.24%: Esta evaluación es para ser considerada como promedio, porque la cantidad de portátiles con mejores evaluaciones es casi la misma que la cantidad con evaluaciones peores.